TheYearRounder's Guide to Provincetown: Holy Cow… Vegan Gelato! vegan gelato have led to truly exotic varieties like avocado. Wow! I Dream of Gelato does it again. They've come up with the impossible… vegan gelato that is so creamy, so scrumptious, so completely satisfying that you would never know that it's made with absolutely no milk or cream. Ricky is a genius in the kitchen. He can't help himself. He's always creating something new. Now he has worked out a recipe to blend fresh fruit with coconut milk to create a gelato so smooth and tasty, you won't be able to tell this vegan variety apart from his fabulous array of regular gelatos. You'll be ordering these new vegan style confections just to taste all the fantastic new flavors he has come up with. 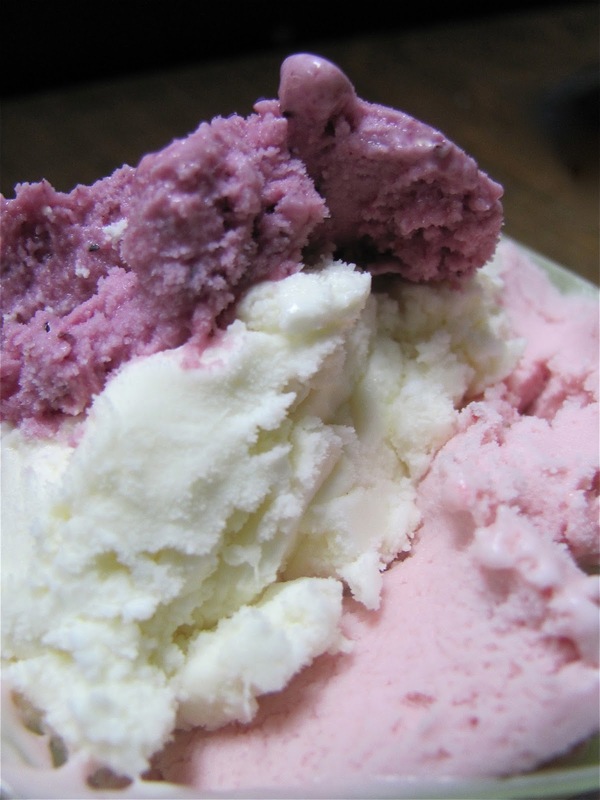 He started out with a simple standard like strawberry, tinkering with the recipe until he had it absolutely perfected, and then he began to refine other fruits into this wonderful Italian ice cream. Next he branched out into chocolate, and now there's even a vegan coffee gelato. Now, every time I visit Ricky's shop, he has a new, exotic flavor for me to try. The avocado variety is nothing short of amazing! Find I Dream of Gelato tucked away in the Aquarium Marketplace, at 209 Commercial Street. Choose a couple of flavors, and carry your guilt-free treat out to the deck on the edge of the water, where you can enjoy your sumptuous dessert along with the glorious view out over magnificent Provincetown Harbor.